If you want to respect the couple getting married, don’t wear white as it might take the attention away from the bride. In most cases, try to avoid whole black as well. However, white tie and black tie weddings would be an exception. Still unsure of what to wear? Don’t worry! This article will discuss what to wear to a wedding with a specific dress code and the and of wedding guest attire. As a wedding guest, you should pay attention to your attire so you don’t distract the happy couple or other guests. Your attire should also be comfortable. Weddings typically take at least two hours, you wouldn’t want to spend it feeling miserable, right? So, pay attention to the dress code and when the wedding takes place. Here are some ideas to help you determine what to wear at a wedding. A fashion faux pas in a winter wedding may make you cold and miserable. Wear long dresses, but a short dress paired with thick tights should be fine as well. Use heavy and thick fabrics to stay warm, such as velvet and tweed. Choose sequined dresses or those with jewel tones like sapphire blue, ruby red, or emerald green. Wear closed-toe shoes with low heels and avoid boots inside the venue. For a summer wedding, you should aim to look stylish and respectful while staying cool in the sun. Make sure to wear light and breathable fabrics like silk, linen, and cotton. 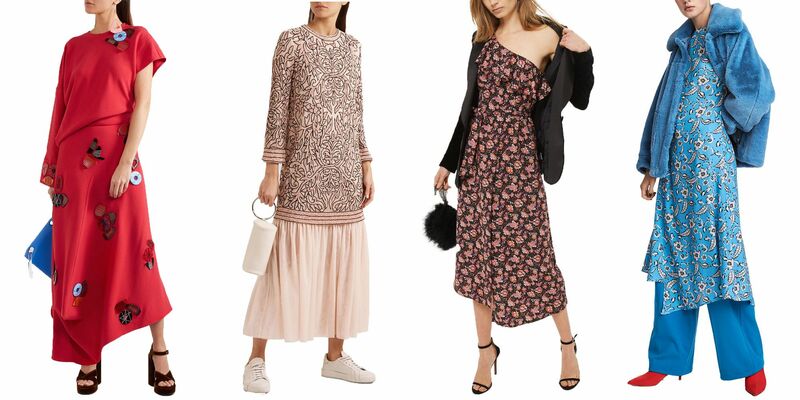 Choose a short summer dress or a long, flowy dress. Don’t wear anything with long sleeves to avoid overheating. Wear vibrant, summery colors and some floral patterns would be gorgeous. Don’t wear sandals, wear some wedges, flats, or low heels instead. You can use some parts of the summer wedding tips to attend a formal beach wedding with some exceptions. Don’t go crazy on patterned dresses, they look tacky for a formal event. Go for vibrant solid colors or textured cocktail dresses. Don't over-accessorize. Choose one statement piece and only wear small accessories elsewhere. No sandals allowed. Opt for some chic wedges or flats instead. You shouldn’t worry about what to wear to a wedding that’s casual; you can wear almost everything! Wear something polite, yet still comfortable. No jeans, tank-tops, shorts, and sandals allowed. Wear a nice or a skirt with a nice blouse to stay casual yet classy and stylish. For a semi-formal wedding, keep everything crisp but not over the top. Stay somewhere between formal and casual. If the wedding is held during the day, dress more casually with lighter colors. If it’s in the evening, wear something more formal with darker hues. As a rule of thumb, wear a cocktail dress paired with heels. Wear minimal accessories and keep everything subtle. This is a standard wedding dress code, so if you’re unsure about what to wear, wearing a formal outfit is a safe ground for you. Wear a cocktail dress, a formal or a long evening gown with rich hues for the event. Stay away from gaudy accessories that look plastic. Opt for subtle jewelry and pearls instead. Wear heels and coordinate the color with your clutch bag. Dress to impress when you’re attending a black tie wedding. This means that you should look even fancier than for a formal wedding. Your dress should be ankle-length or floor length with rich jewel tones. Wear your dressiest heels and accessorize with jewels or pearls. White tie is as formal as it gets and it’s rare wedding dress code these days. So, feel grateful to be invited to such a fancy event! With all sorts of silhouettes. But keep in mind that can make it hard to walk or sit. Again, wear your dressiest heels and jewelry. Bring a satin or velvet clutch bag. If you wish, wear a pair of satin evening gloves. So, have you already got an idea of what you can and can’t wear to a wedding? Aside from not wearing white or black, keep these and in mind while choosing what to wear to a wedding to avoid embarrassing fashion faux pas. Most weddings take place in a religious setting. Whether it’s inside a Catholic church or a Hindu temple, do some research about the religious customs for clothes first. You don’t want to show up in a sleeveless dress and have everyone glare at you, do you? Check the weather before you decide on an outfit for a wedding to avoid being miserable. You wouldn’t want to wear a light and flowery dresses on a super windy day or a thick long dress on a hot and sunny day. It’s better to be overdressed than underdressed while attending a wedding. When in doubt, wear a nice cocktail dress with some lovely heels. Better safe than sorry. Jeans, tank-tops, flip-flops, and sneakers should be avoided at any cost. They’re disrespectful and too casual for such an important event. Stay away from animal-prints, crazy silhouettes, and over-the-top patterns. They look tacky and tasteless for a wedding. Sure, stilettos might look super chic, but can you walk in them? You’ll want to mingle and dance at a wedding, so make sure your shoes are comfortable and supportive enough for you. Be mindful when choosing what to wear to a wedding to show your respect to the happy couple. You should look nice and pay attention to your attire, but remember not to sweat about it too much. Just stay within the guidelines we’ve given you and remember, you don’t have to spend a lot of money to look nice for a wedding. You always have the choice to re-wear an outfit or rent one. Always stay classy and you’re good to go! Get the latest news on the world’s top rated merchandise and recommendations on the latest products.